This is a guest post by Danielle Shoom, Personal Trainer. Visit Danielle’s website here. Some weeks are busier than others and some times you just feel lazy! However getting in your workout can make that busy, stressful week seem not as bad or your lazy day can turn around with just 30-60 minutes of exercise. Here are 4 tips on how to get your workouts in, no matter what! On Sunday nights I will sit down and think about what I want to do for the upcoming week. I always change it up but I’ve made a pact for myself to work out every day between Monday and Friday. This way, I have a routine. I like to workout first thing in the morning, so this is how I schedule it: running on Mondays, Barre class on Tuesdays, and so on. This really keeps me motived all week long! Schedule yourself into a class and be committed to it! Most gyms have a 12-hour cancelation period (once you’re in you’re stuck!) Whether or not you’re in the mood to exercise, I promise you that you will never leave a workout feeling worse than before. Buying a package at a gym is not cheap! They usually start at $100, and that’s normally just for a 5-pack! By investing in a package, that means you have to use it! Buy a 5 pack at one gym, then find another place to exercise next month. Changing up your workout will keep your mind and body guessing. Schedule to meet up with a friend at the gym or at the park, and work out together. This will make you both accountable and force you not to bail on each other. You’ll be killing two birds with one stone (metaphorically of course) by catching up with each other and staying fit together! 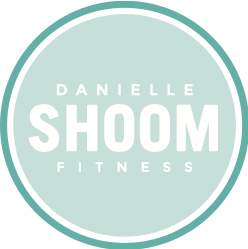 Danielle Shoom is a personal trainer, group fitness instructor, and nutrition enthusiast based in Toronto, Ontario. Visit Danielle’s website at danielleshoomfitness.com.